ShadowIT Discovery and security of SaaS are often considered key capabilities of Cloud Access Security Broker. There is, however, one critical capability which is often overlooked; security of IaaS. 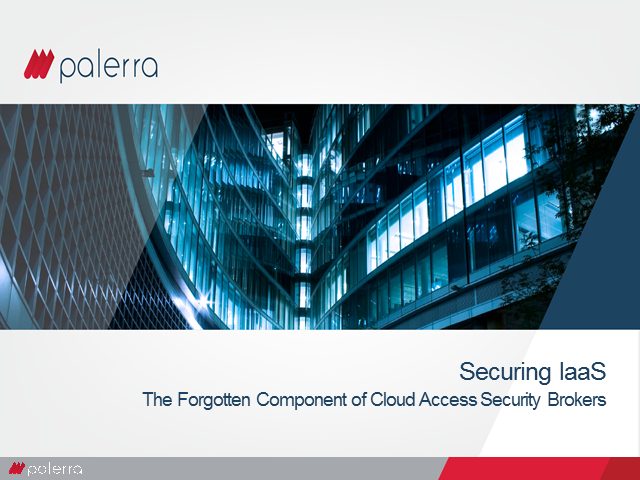 Many organizations are finding out the hard way that focusing on security of SaaS is only part of the puzzle. They must address the security of their entire cloud environment, including IaaS such as AWS and Azure. Coupled with the need to secure custom apps developed on top of IaaS, security of IaaS is becoming an important capability that organizations must consider as part of their overall cloud security strategy.